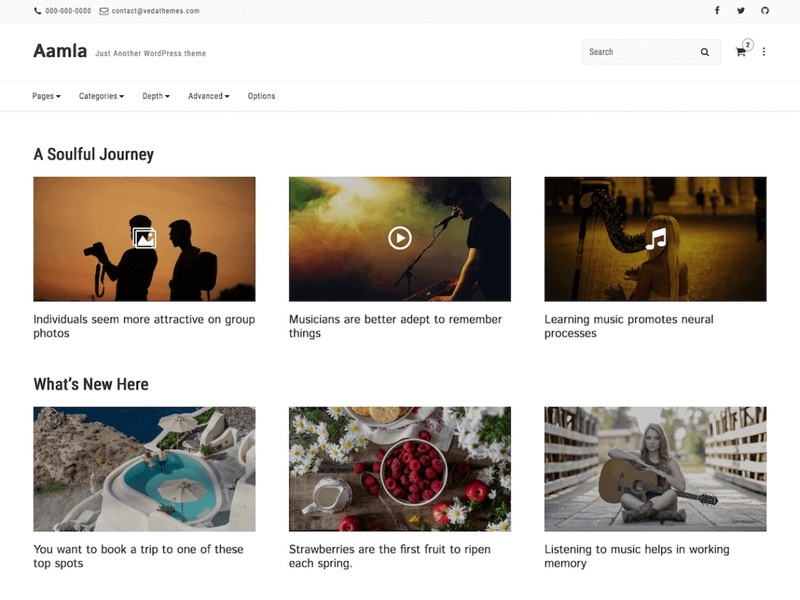 Aamla is a feature-rich, lightweight and mobile first WordPress theme that is flexible and easy to use. It is built with a special focus on blog, business and e-commerce websites. Aamla helps you to build your pages even without page builders and make your audios and videos stand out. Aamla is written with clean code and the most current HTML5 conventions. Aamla can be used as a solid base to build beautiful and functional websites.